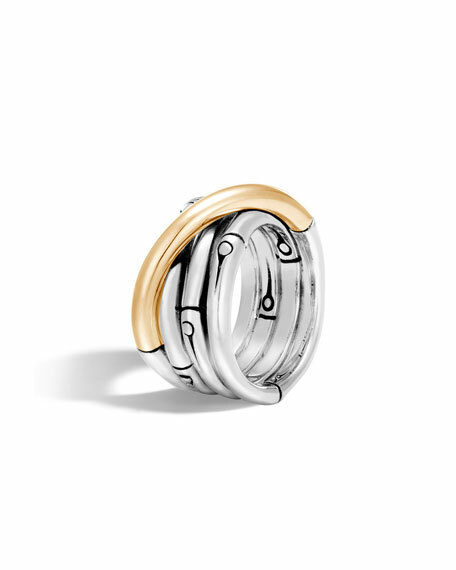 John Hardy ring from the Bamboo Collection. Sterling silver rows with carved bamboo motif. 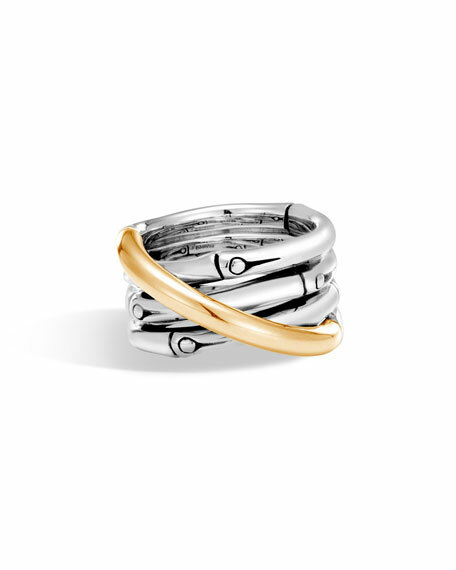 John Hardy ring from the Classic Chain Collection. 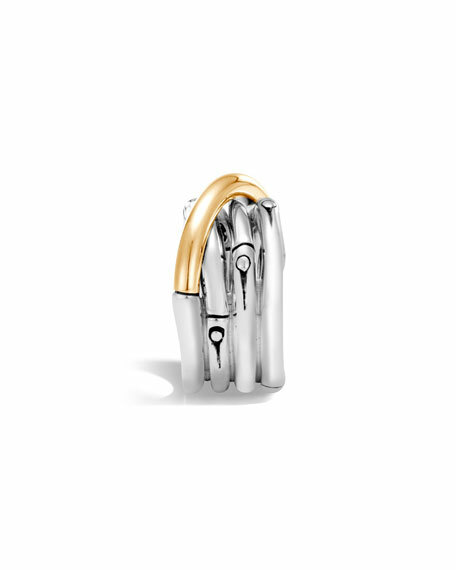 Tapered sterling silver band. Wide hammered face. Black sapphire and spinel. Imported.